Years ago, audition tapes were exactly that. A battered cassette in a lumpy jiffy bag. Some loveable submissions had the titles of previous recordings scribbled out on the cassette label. One of my favourites came from the would-be jock who evidently sat behind the settee in his front room listening to our station, turning down the link where our presenter came on so he could fill the gap with his own ramblings. This he continued to do until the link on-air ended; and he’d fade us merrily back up again. Delightful. Tapes were often sadly separated from their accompanying letters, and many a fine individual lost their chance of success because we forgot who they were. Other presenters went to more trouble: they’d get some posh printing done, so the tape looked like a soap powder box. I arrived at the conclusion, though, that the better the packaging, the worse the audio. Would it be awful to confess I used an audition cassette from Wes Butters to record someone else’s show? Well, when you needed a nice C90 quickly, and one landed on your desk, it was just too tempting. Then, in an M1 traffic jam one day, I was merrily listening to my guy recorded on side A, when it ended and flicked over to side B, where I caught part two of Wes’s submission. Quite by accident. It was good- and he was duly hired from AA Roadwatch. Lesson number one in radio: much of it is good luck. Now, of course, no more cassettes. It’s a 100GB MP3 into my mailbox; or I am despatched to Sound Cloud. I don’t mind which. Do keep abreast of the best formats for demos though. I used to get sent mini-discs at one stage, and I never did get round to getting a player. Most PDs would concede they judge within the first few seconds. A bit like a listener would. Thankfully, most auditionees now do not start by reciting an interminable weather forecast and thanking the newsreader. Don’t do that. We‘re looking for an entertainer, not someone to read the weather. If you are any good, I’d rather hope you can manage to read the weather if you need to. Yes, the voice is important. Not every great broadcaster has a great voice, but it helps. Most listeners choose much commercial radio because it makes them feel good; so you have to suggest that you do just that. Whilst uplifting though, you should also be ‘real’ and ‘authentic’: magnified yet believable reality. That contrasts with the ‘voice on a stick’ of yesteryear; and being unbelievably happy for no apparent reason. Now is ‘normal’. You need to sound like a genuine human being; someone my listeners would like to spend time with. Don’t tell me – or show me – that you can do ‘anything’. Being flexible may help your long term career, but at the moment I listen to you, I only need you to do what my station does. Brilliantly. We know you want ‘feedback’ on your audition material. Ah, that lovely tactful 21st Century word. Sometimes though, if you are really bad, most PDs would confess they really have not got time to write something polite. If you are moderately good, but not quite what we want, we also probably have not really got the time to write too much back. Apologies for that. I wish it were different. PDs now are usually inordinately busy and doing a host of jobs. I do think though, we should be sufficiently polite to acknowledge your demo; and (remembering all my disappointment as an aspirant jock years ago) I’ve tried to do that; although someone will now read this and say ‘you never got back to me’. I hope I’ve managed 95%. Do keep trying. On the day you decide to send your demo, the PD has likely got all her or his jocks in full contract and they have no need for your talents, however good you are. On another day, they might be struggling to replace someone at short notice. Without being a pain in the neck. It’s useful to keep trying if you genuinely think you could handle a gig and have had some encouraging noises. Your audio might just arrive on ‘the right day’. Show us some ideas. Some originality. Offer me something in the opening few seconds that I might want to rip off. An anecdote; a competition idea; a promotion; a phrase. That would impress. 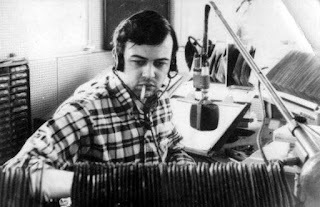 I always recall a brilliant lecture from the late, great John Walters (producer for the late, great John Peel) in which he said how dismayed he was when students from student radio sent in tapes of themselves sounding just like normal grown-up stations. As Walters rightly said, on student radio you should be doing the things other stations dare not do. Having said that, pitching yourself as the new ‘breakfast jock‘ as your first gig is a tough call. The way in to doing ‘destination radio’ is usually by doing ‘normal radio’ first and learning the rudiments. Listen to how Moyles oiled his wheels on Luxy and GWR Group; before he honed the skill needed for ‘performance’ radio. Listen to the greats. Most jocks were awful once, and they gradually assume better practice. Listen to them. Ask why they do what they do? Learn from it. Inherit best practice. Show you are a communicator. Show you can engage listeners; whether on the phone or imaginary. Be realistic. This is a competitive field. If you are new to radio, the chances are you need to get some experience under your belt before you’re hired for a 2m TSA. If you do try for larger outfits, see if you can get a foot in the door first. Just ‘be around’ and help out. If you fit in well, and ‘give something’, you’ll find the team on site reciprocate and will nurture you. This industry is riddled with great performers who started out just ‘helping out’. When you get your first piece of work, do it super-well. Make yourself indispensable. Ah. Commercial. Yes, show some commercial awareness. The way great brand integration is happening, a jock who can make commercial material sound brilliant is impressive. Get a life. The best radio now reflects real life. If your real life is only staring at RCS, your show will not chime. Watch real people around you doing real jobs. Listen to what they talk about: they both supply material and demonstrate your audience. And fitting in matters. The best talent can grow to be inordinately awkward; and we rightly tolerate that behaviour in direct proportion to how brilliant they are on air. But it’s easier to select a co-operative pleasant person to hire and take under your wing, than some awkward idiot who annoys everyone. A person in most commercial stations has to fit in with the other presenters; and the commercial teams and a modicum of people skills helps. Bear in mind that, however busy the person is you are writing to, if you are genuinely good, they will want your talents more than you’ll ever know. I’ve just found the audition tape that got me my first job. This is half of a two minute 1979 demo. Goodness.